When the budget gets tight, one of the first things to go is “date nights”. The cost of going out to a restaurant, seeing a movie, and paying a babysitter can add up! We’re here to tell you that date nights shouldn’t be sacrificed. 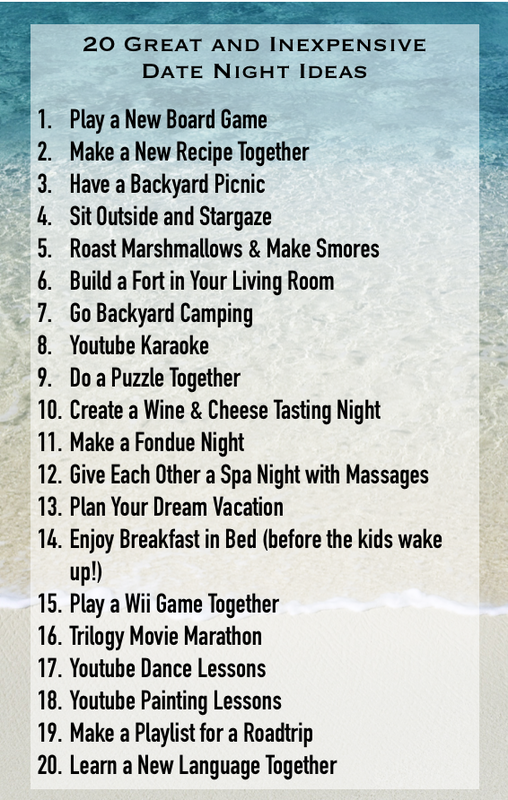 With these creative ideas, you might even be able to stay home and have a fun night together after your kids are in bed. Dating your spouse is an important part of your relationship, and you shouldn’t have to sacrifice that simply because you are on a budget. What are your favorite things to do for date night?